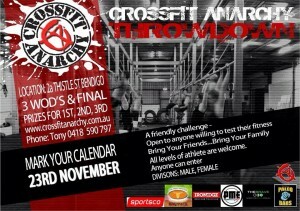 Tomorrow (Saturday 23rd November), Dave, Dom, Lauren and Kate are competing in the CrossFit Anarchy Throwdown in Bendigo. 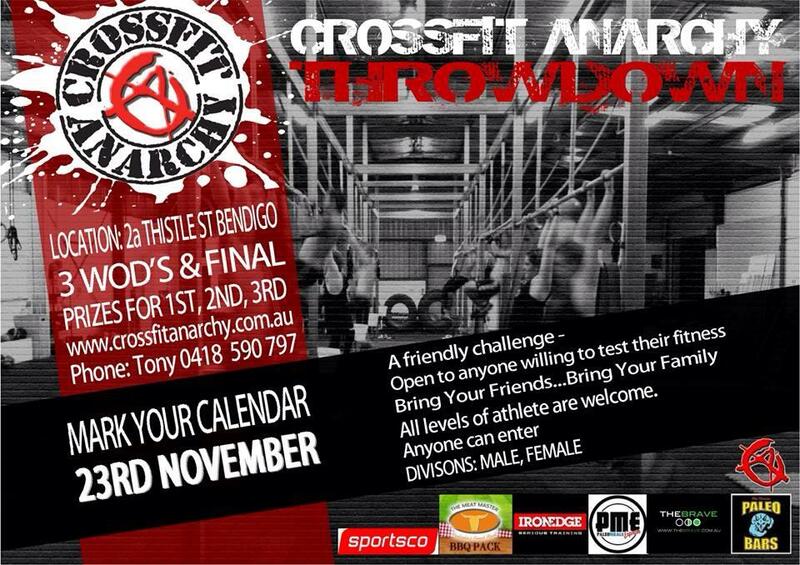 We’d love to see as many of you down there as possible to support the Turmoil crew!! !